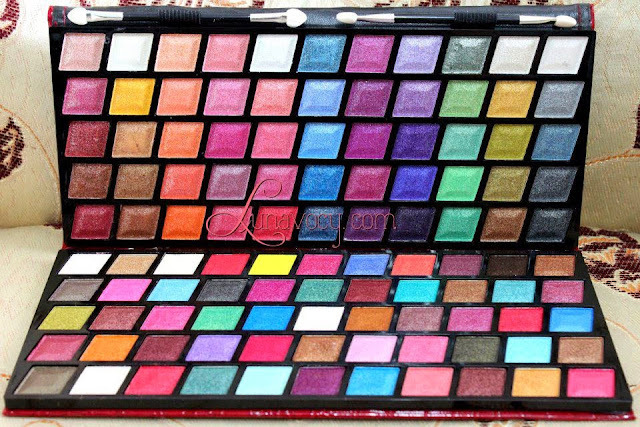 Miss Rose Makeup Professional 110 colors wet eyeshadow with aloe vera and vitamin E.
Deep and Light colors all available in this purse Palette. The finely-milled powder is extraordinarily rich in pigment, so be sure to begin with a gentle hand. You can wear them to office, dinner, to your first date or even party where you can dance all night long and it stays intact until you wash it off with soap and water. A creamy texture that can be easily applied with your fingertips or with a brush. It can be used dry, to obtain a soft look; or wet, to obtain a more intense look. 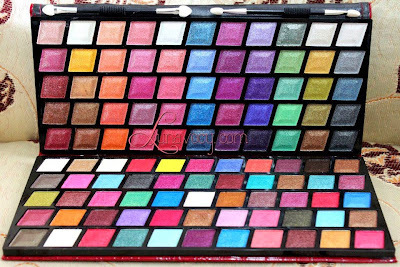 For more intense color coverage, you can use your Wet/Dry Eyeshadow with water. Put a bit of water onto your brush to dampen it, then dip it into the eyeshadow. The water will allow the brush to pick up more color, giving you a more sophisticated look, perfect for a night out.